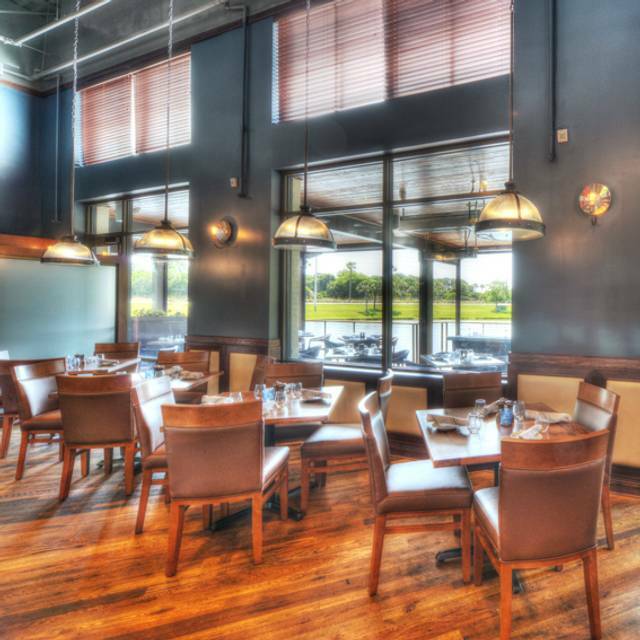 Consistently chosen as one of the "Top 25 Restaurants" by Jacksonville Magazine, and repeatedly recognized as the "Readers Choice Favorite Restaurant" by Women’s Digest Magazine, Aqua Grill continues to wow its guests with superb cuisine and service for over 25 years. 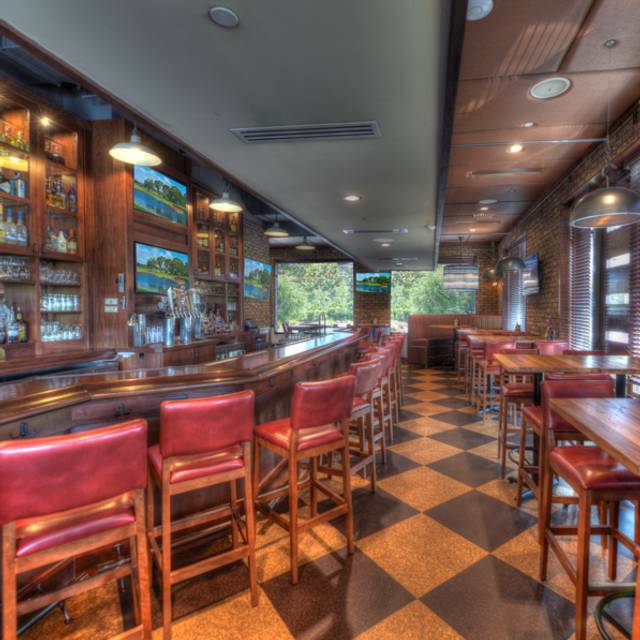 As one of the oldest and most successful owner operated restaurants in the Jacksonville area, Aqua Grill continues to differentiate itself from the masses by always delivering an unforgettable dining experience. 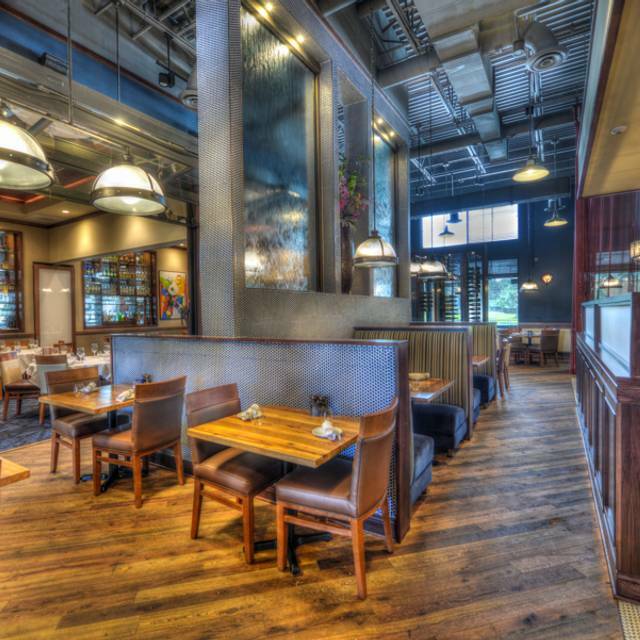 Appreciated by its customers for the expansive menu and seemingly endless choices of eclectic cuisine, Aqua Grill serves only the freshest gourmet seafood, aged Angus steaks, live Maine lobster, creative pasta dishes. Also available are vegetarian selections, and special dietary requests are always honored. 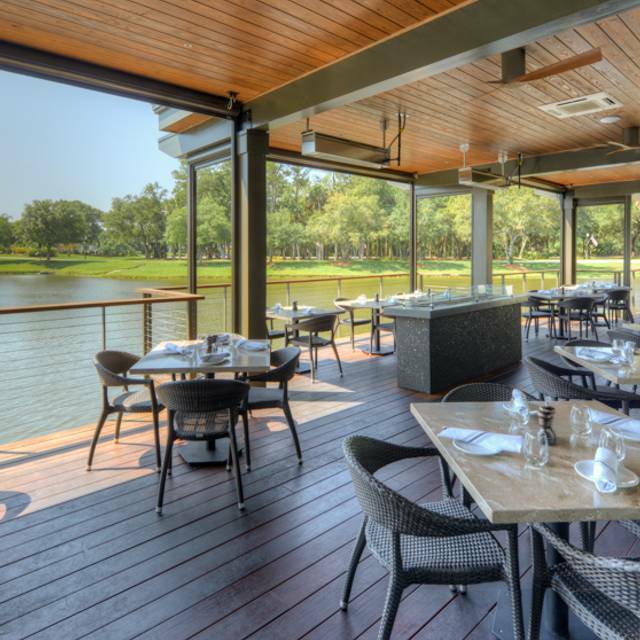 Dining choices at Aqua Grill include the casually elegant main dining room, the private banquet room with scenic lake views, al fresco dining with lakefront patio seating or the ever popular lounge. As always, the food and service at Aqua Grill were terrific. We were a party of four who each had a different dish and we all loved our food. We will continue to dine here and recommend this restaurant to friends and family. A well turned out up scale restaurant. Excellent food, great view. Very enjoyable evening. Service and food was excellent. The only drawback was that it happened to be very loud that night. My favorite restaurant! Any time I am in Jax I need to visit here. 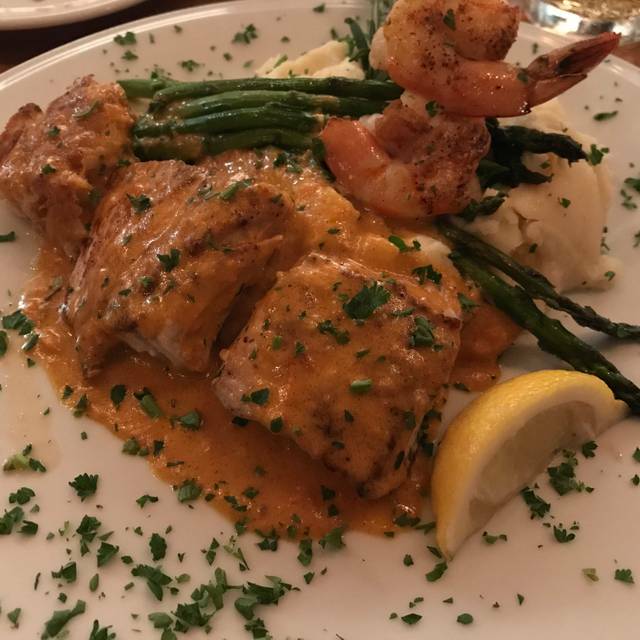 Clams casino, seafood chowder, vidilia crusted grouper, osso bucca are my favorites. It's ok for kids too, we always take our 8&10 year old. I'll be back! Service and food were superb. The noise level was pretty high, but didn't take away from a great evening. My husband and I were seated for lunch at an outdoor table by the pond, as I had requested. I ordered the veggie burrito and my husband selected the blackened fish and shrimp tacos with black beans and rice. Both lunches were delicious although I was disappointed that my side of tabouli and chips was more garnish (maybe 3 or 4 bites of tabouli at most). Iced tea was very good as well and our server refreshed our glasses promptly upon request. Setting on this very nice day was pleasant. I highly recommend outdoor seating at Aqua Grill and the lunch menu offers a wide variety of tempting options. It's not that the food wasn't good, just that I felt the choices were quite limited, especially for non-meat eaters. I wanted scallops, but apparently they only came with some short ribs and meat sauce. Everything else about the place was nice, although it was loud. Our waitress was wonderful. 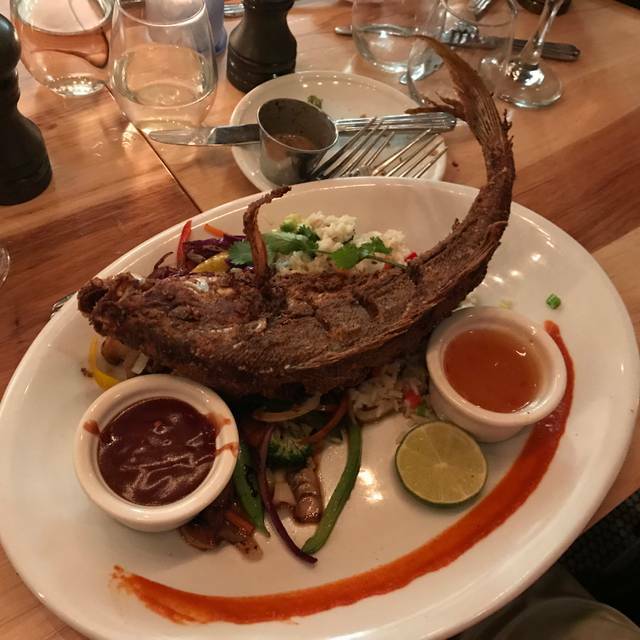 We have eaten several times at the Aqua Grill and we have been pleased with the food each time, but this time the food was not good. We had a salad which was fine. The Bucatini and the Grouper and both were not well seasoned and not pleasing to eat. The Bucatini was hard and the grouper was not fresh (mushy). We also had a bottle of wine, so overall the evening was expensive and a disappointment. Waitress, Eve was the best. Very knowledgeable about the available wine! The food is always good, and it was this time. Unfortunately, everything was quite slow. When we arrived, we were told the outside table we reserved was not ready yet. We could wait or sit inside. We waited 15 minutes or so. Then everything slowed down even more. It took a while to be able to order drinks, then another wait to be able to order food. It was a long time before our soups and salads arrived, with another fairly long wait for our entres. Overall, it took more than 2 hours to be served and eat our meals. We did not order any dessert, or it would have taken even longer. 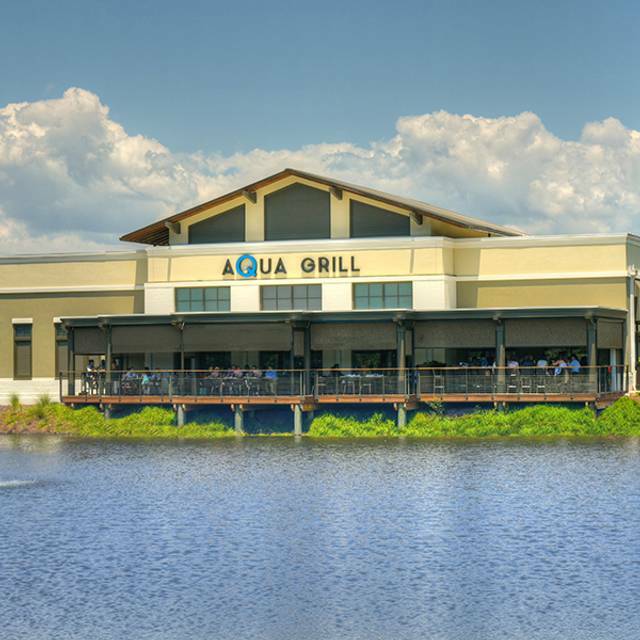 We have been to Aqua Grill many times, and it was never this slow. I assume it was a one-off issue with the kitchen - or I hope so. Service was some of the worst that I’ve experienced. Once the entrees were delivered, we never had contact with the server again. No one checked on us to ask how the meal was, provide more wine or water, etc.. After 45 minutes of this, I had to approach the hostess stand just to request my bill. I've never had a bad meal here...one of my favorite local restaurants! Excellent food and excellent service. Great patio for dining. Recommend the shrimp appetizer. Such a great time out on the deck... wonderful family time. We love AG and always go for special lunches and dinners. We had family & friends in town & wanted a local spot. The food is consistently delicious! Service was great! We really appreciated the fact that we could sit outside and that blinds have been installed to lower down to avoid bugs. Excellent food, as always!! Busy Friday night crowd, so drinks & food took a little time to get to us. But-SO WORTH THE WAIT! All ordered seafood & did not disappoint! The raw oysters were wonderful & huge! The wait staff was spot on! Everything we ordered was delicious. We enjoyed a great meal on the outside patio area. Even though the evening was chilly, the heaters kept the area quite warm. Overall, an excellent experience with very good service. Best customer service we’ve had all week! The food was fantastic. Invited 3 friends out for dinner and everything was great, a good place to take friends for food and conversations, nice bar too. Everything was delicious. 3 members of the party had the special and one had a menu item. The 3 specials were warm but not hot. The regular menu item was hot. They must have gotten the timing off at some point. The food was good, just not as hot as it should have been. When we arrived, they had our reservation but we had to wait for them to find a table for us. They also did not mark us down as attending our reservation. 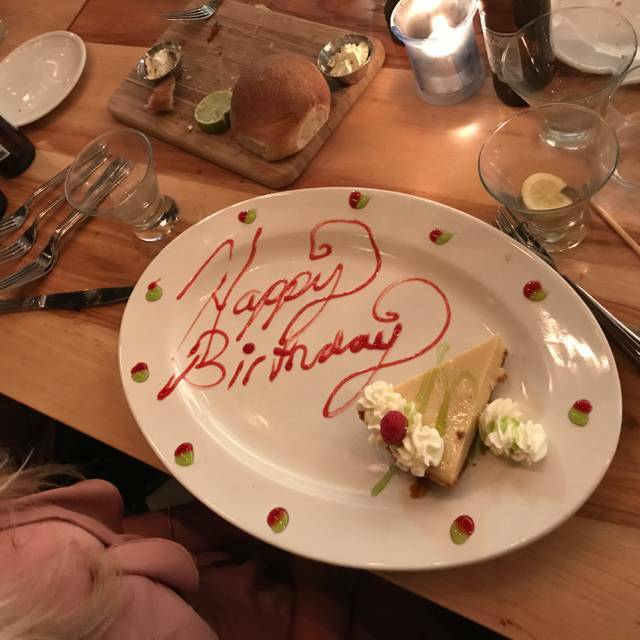 The food was very good, the staff and the service was good but not what you expect from a restaurant that we picked because we thought it would be stellar. May go back but not on my list of must go backs. Really excellent meal and atmosphere. Everything is prepared scratch instead of being batched and it came out piping hot and was very tasty. Best restaurant we've been to in the Pointe Vedra area. Very nice atmosphere. However like almost all new restaurant designs they have little if any noise absorbing material. Way too noisey. Our server was the best part of the evening. Food was not as good as I expected. This restaurant apparently is a hit or miss and thus inconsistent. The first time we went, everything was great. This second time we went the food presentation was not as it should be. For example, when being served a whole steamed lobster, the server or kitchen should partially remove the meat from the shell or at a minimum provide a separate bowl/plate for when the lobster is opened to allow the water to drain somewhere other than into the other food on the main plate. A separate napkin or towel should also be provided as whole lobster will be messy for the patron if the staff doesn't serve it properly. Strangely, in this nice of a restaurant you would think this would be routine but it wasn't. Things just seemed off this night as the wait staff was confused as to who would serve us. We'll give it a third try sometime to determine the tie breaker. Food was great! A little noisy because of a party on porch! Our table was on on path to porch, so much traffic was near us!! Service was good and the food was excellent. Our party enjoyed both a bottle of Chardonnay and a bottle of Cabernet with our meals. 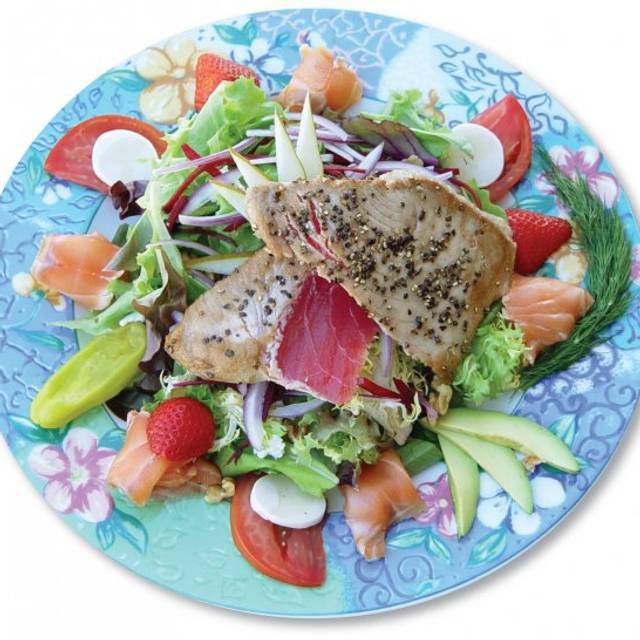 One had salad, one had the steak with grouper and shrimp, one had the scallops and the last diner has the ahi Tuna. Our servers were knowledgeable and attentive without hovering. Despite having diners on both sides of us, we were about to converse quite easily. We'll be back! As this restaurant's prices have gone up, their service and value have gone down. The food was still excellent and really that's the reason you visit any restaurant; it's the other things that keep me from being able to rate it higher. Portion sizes, in some cases, also appear to be shrinking. Wine prices have always been higher than most other comparable restaurants. Wonderful food, and they did a very nice job meeting our reservation time (even though we reserved outside, but opted for the inside table since it was available) and the service was excellent. It's a busy weekend when the Players Tournament is happening but they were well prepared! Fabulous, as always! We come here at least 2-3 tlmes/year when we come from Atlanta. Love this place! Great service, food and drinks! Highly recommend. Was a little worried the patio would be chilly. They had several heat lamps and it was very comfortable. Beautiful ambiance. Great food. Everything great, but very noisy! Food and service really fine!